This quote has been around for some time and I’ve heard it spoken over the years. I’ve even used it myself when thanking volunteers for the work they’ve done to help at an event, nonprofit or other special occasion I’ve headed up or lead. When people step up to help, they may not think it at the time, but they are making a difference that can be felt and seen in our communities. 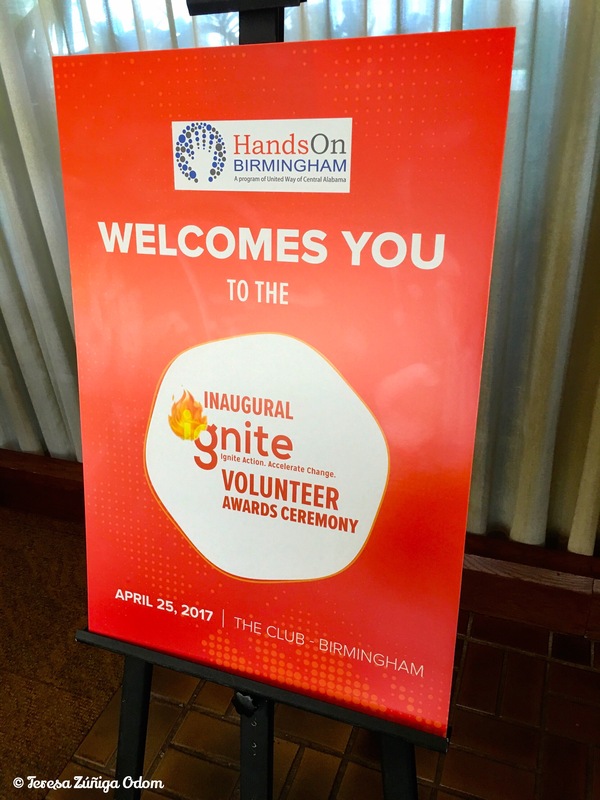 Inaugural Ignite Volunteer Awards Ceremony on April 25, 2017 at The Club in Birmingham, AL. Last year, Hands on Birmingham, United Way’s volunteer arm, created an event they named Ignite, to recognize and celebrate outstanding volunteer service. Because it was a brand new event, I hadn’t heard much about it until my sweet friend Vanessa Vargas mentioned she had been asked to be on the host committee by the executive director, Benga Harrison. Now, Benga is a powerhouse in our community and a great friend to me. She is someone with so much passion that when she speaks to you, your own passion is ignited! I kid you not! When I heard the name of the event I thought it was a perfect reflection of her! So, when I found out she was the driving force behind this event, I knew it would be a hit! What I didn’t know at the time was that Vanessa was going to nominate me in the corporate/company category for this awards ceremony. There were quite a number of people nominated in this category. I surely wasn’t expecting anything to come of the nomination but to my surprise, I was one of two finalists! The two finalists in each category received a special medal to wear at the brunch so they could be recognized to attendees, which was really a nice touch. 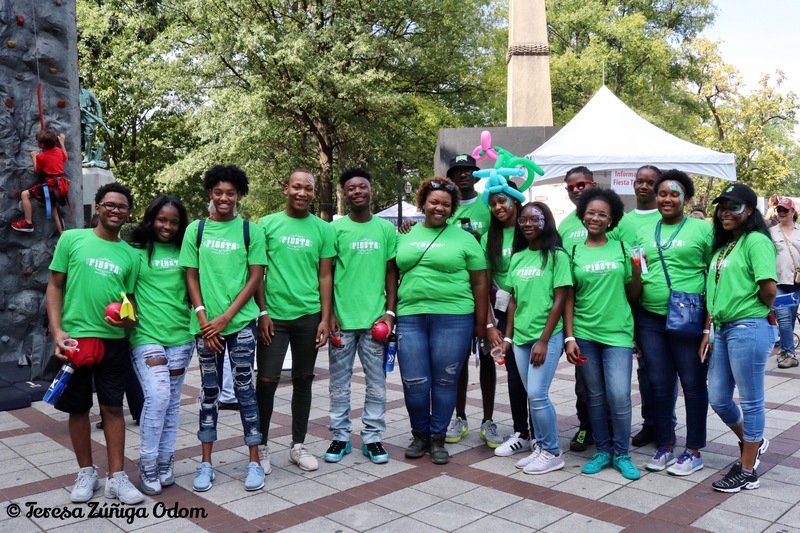 The other categories included Hands on Birmingham volunteer, government/community volunteer, nonprofit volunteer, student volunteer, small business volunteer, and faith based volunteer. Chicken and Waffles for brunch! It was thrilling to be in a room filled with such wonderful community servants. It was even more wonderful to actually know so many of these people who give so much. Another reason for my excitement was due to the number of Hispanics nominees! Hispanics were definitely represented at this event and of the six, three were finalists (me, Theresa Deleon, and Jairo Vargas) with one going on to win his category! I was so pleased when Jairo Vargas, Publisher of Latino News, was announced as the winner in the small business category! I couldn’t think of anyone more deserving and it was great being able to celebrate this honor with Jairo, his wife Lucero and of course, his daughter Vanessa! For a first time event, the turnout was tremendous and the number of nominees in each category was so diverse. I know Benga and the organizers were thrilled and ready to jump into year two of Ignite! And on that note, Benga recently asked me to serve as the Chair of the Host Committee this year and I said yes! I can’t think of a better way to give back to our community than to help nominate those who do so much to make it a better place for us all. Selfie with Benga after the event – smiling because the event was such a huge success! If you are in the Birmingham area and want to nominate a dedicated volunteer who has made a significant difference in Central Alabama, you have until November 30, 2017 to do so! Click here for more information on how to submit your deserving community volunteer! Then mark your calendar for the 2nd Annual Ignite Awards on April 17, 2018 at The Club Birmingham! 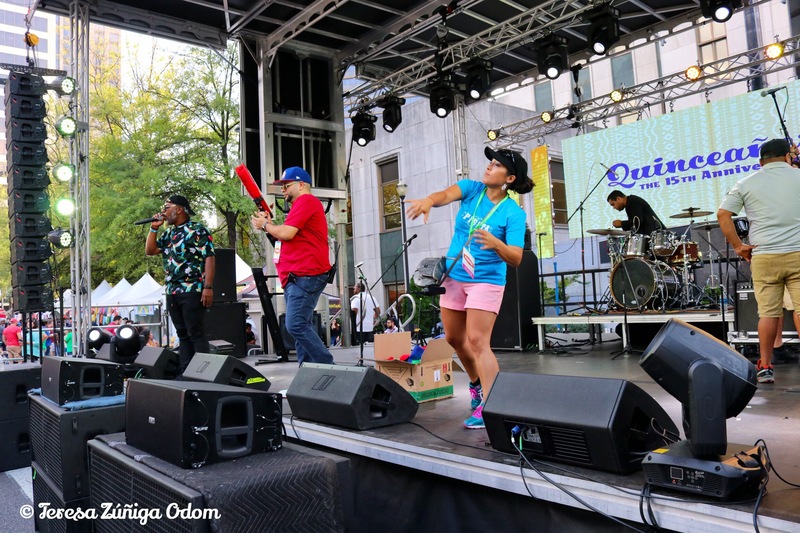 This entry was posted in Birmingham, Blog Like Crazy, Events and tagged Benga Harrison, Blog Like Crazy, Hands on Birmingham, Ignite, Jairo Vargas, Theresa DeLeon, Vanessa Vargas, Volunteers on November 5, 2017 by Southern Señora. 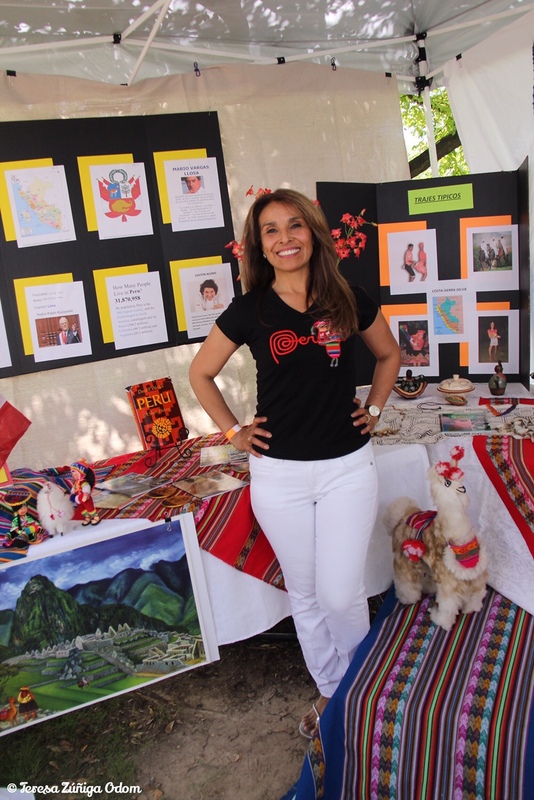 For Fiesta 2016 there was a renewed focus on our Cultural Village and what makes it the “Corazon” of our event each year. We depend on the kindness of the Hispanic community when it comes to pulling this village together. It is because these community members want to share a bit about their countries of origin that the village is always such a wonderful place. This year we decided to have a competition to encourage participants to take it up a notch or two. Word got out quickly when this was announced on social media and we had quite a turnout. Not to mention, the booths were incredible! Our cultural village chair and board member, Lui Fernandez, always has something special in mind as he creates the village atmosphere. This year, he really wanted to encourage the community to sign up early for our 15th anniversary celebration and he decorated a booth with photos from all the previous Fiestas. It was such a great way, in my opinion, to personalize the village even more! The winner of the competition was chosen by three anonymous judges who went through the village throughout the day to observe and make notes. At the end of the day, Mexico won the competition and a $500 prize! Interestingly, the Mexico booth also has photos displayed all over the tent of past Fiestas! Great minds…as they say! DJ Ivan Correa and a happy dance lesson recipient! Fiesta 2016 was also warmer than the year before! If you read my post from last week you’ll remember that it was a cold and drizzly day. This year made up for it with blue skies and warm weather. It was beautiful… And because of this, I think that’s why I remember people dancing so much! We decided to use the gazebo in Linn Park as a Dance Station this yea and got DJ Ivan Correa to host music there. He is always so wonderful and engaging with people. He gave dance lessons and would also draw pictures of people who took a quick lesson from him. Each time I went by there was always a steady stream of people. Last but certainly not least, we had the McDonalds Fiesta Tour return for a third year thanks to our Title Sponsor, McDonalds! This year, the tour went through a bit of a makeover with updated colors, design and also some new items on display. I hope you’ve enjoyed my Fiesta Fridays series as much as I’ve enjoyed going through my photos and telling them. If you are in Birmingham on Saturday, September 30, 2017, I hope to see you at Fiesta for our 15th anniversary…and if you are, SMILE! I’ll have my camera and you may just end up in my Fiesta photo collection! Los Canarios de Michoacana perform and the guy with the harp was amazing! You can’t beat the colors of Hispanic foods! Mexican Comedian Huicho Dominguez performs for the crowd. Two of my favorite photographers – Larry Gay and Clark Scott – they capture the best photos of events in Birmingham! This entry was posted in Cultural Village, Fiesta, Linn Park, Photography and tagged Barrbara Zuniga, Canon Photography, Chris Milleer, Clark Scott, Cultural Village, DJ Ivan Correa, Eddie Odom, Fiesta Fridays, Freddy Rubio, Huicho Dominguez, Larry Gay, Latin Grammy, Los Canarios de Michoacan, Lui Fernandez, Matt Ennis, McDonald's Fiesta Tour, Nick and Judy Hartmann, Orlando Rosa, Vanessa Vargas, Walter Body on September 29, 2017 by Southern Señora. 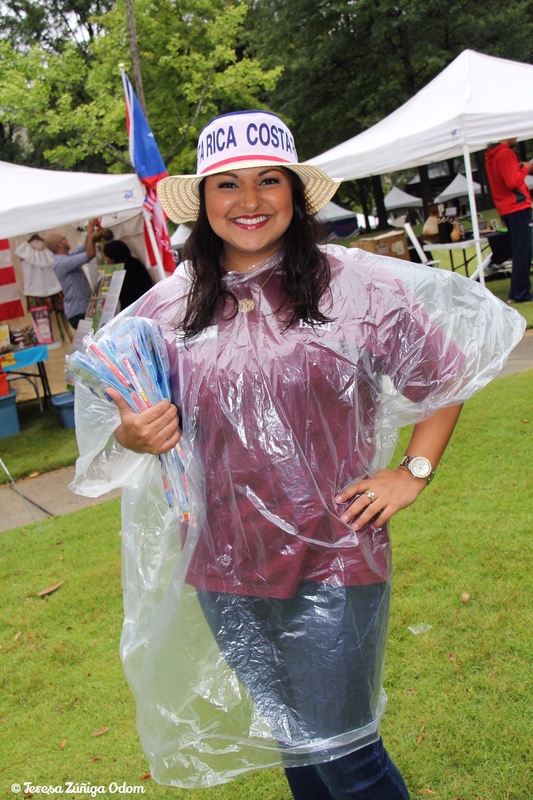 Rain ponchos were seen all around Fiesta 2015 for several hours but thankfully no heavy downpours! 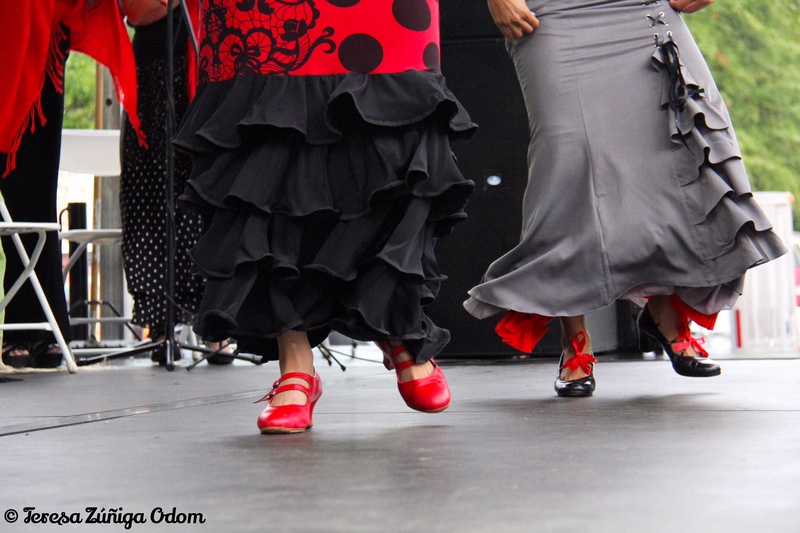 Mosaico Flamenco performs at Fiesta 2015 on the Main Stage. This year we had a group called Mosaico Flamenco perform on the main stage. I always enjoy watching and photographing dance groups and this group was incredible! I love the swirling of the costumes and the angles of the bodies captured in mid-movement. This dance group was really beautiful and I ended up staying to watch their entire performance. Usually, I will photograph for a few moments and then move on to capture something else going on at Fiesta. There is always so much to catch and experience! This time though, I caught a rather intimate moment the group had right before taking stage too…they huddled together by the stage and said a prayer. Like I said…it was such a sweet and intimate moment. I watched for a few second and wasn’t sure if i would photograph or not but I wanted to remember it so took just two photos. The group also had their own live music to dance to and that added quite a nice element to the performance. Dancers in action – love the twirling motion! 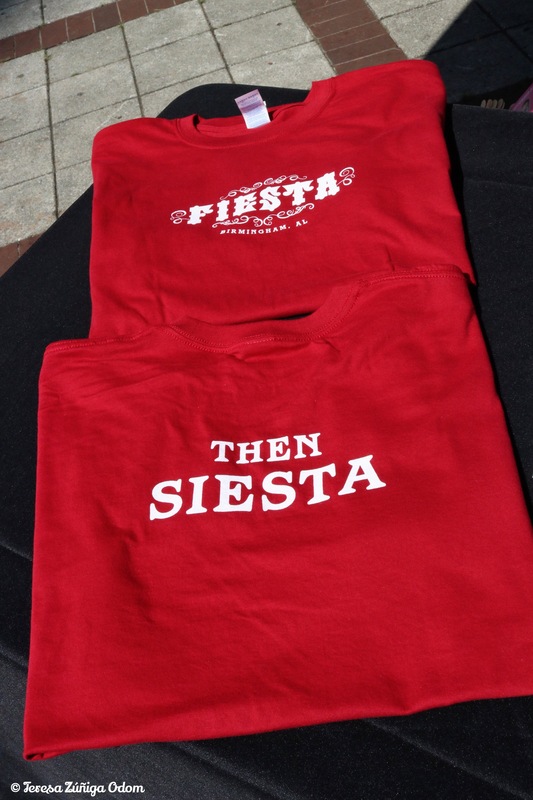 Fiesta also tried something new with food that year by creating a separate ticketed area we called “Cocina Latina.” A limited number of Latino food vendors participated and provided samples of their best dishes. Attendees loved this and probably got to sample dishes they wouldn’t have ordinarily tried! There was also the opportunity to sample Hornitos tequila too which was definitely a hit! 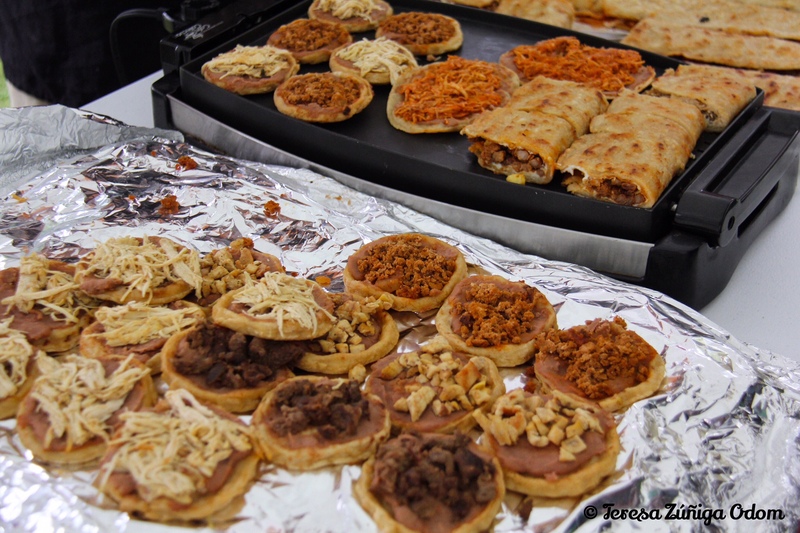 Some of the food samples at Cocina Latina at Fiesta 2015! Hornitos Tequila was also available for sampling at Cocina Latina for those 21 years and older. Toby Love sings to the crowd at Fiesta 2015! I love a good crowd shot! We had a return visit from Toby Love, sporting a light…almost white colored suit, which made his presence even more stark when the fog machine started rolling out the fog! It made for some great photos during his performance including one I took from the back of the stage of Toby Love center stage and singing directly to the crowd. It’s one of my favs!!! 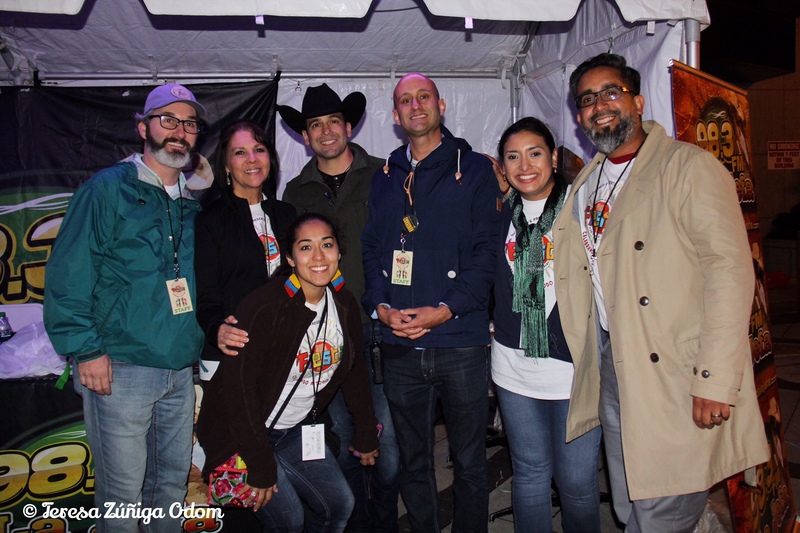 Members of the Fiesta board pose with Headliner – Bobby Pulido – before he takes the stage! (L-R Chris Miller, me, Vanessa Vargas Bobby Pulido, Matt Ennis, Cristina Almanza and Carlos Aleman. Another favorite photo is one taken of several members of the Fiesta board with the last headliner – Bobby Pulido. He is such a personable guy and was great with the crowd. I got quite a few photos of him performing with his band but one that we’ve used for many Fiesta promotions and advertisements is of him playing his guitar right in front of the audience. I love crowd shots and this one was perfect from my vantage point…the lighting from the stage hit the people in the front just right and so I began snapping away. 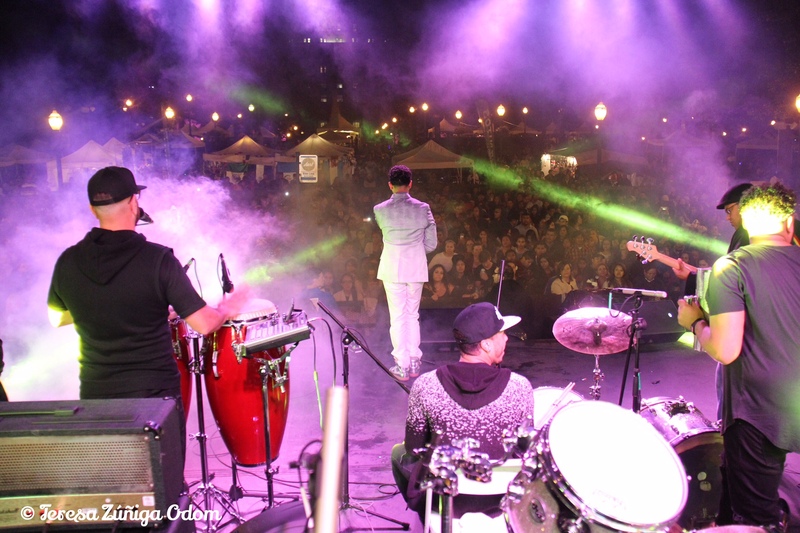 Bobby Pulido sings to a massive crowd at Fiesta 2015! Come back next Friday for my last post in this Fiesta Friday series and read more about Fiesta 2016! 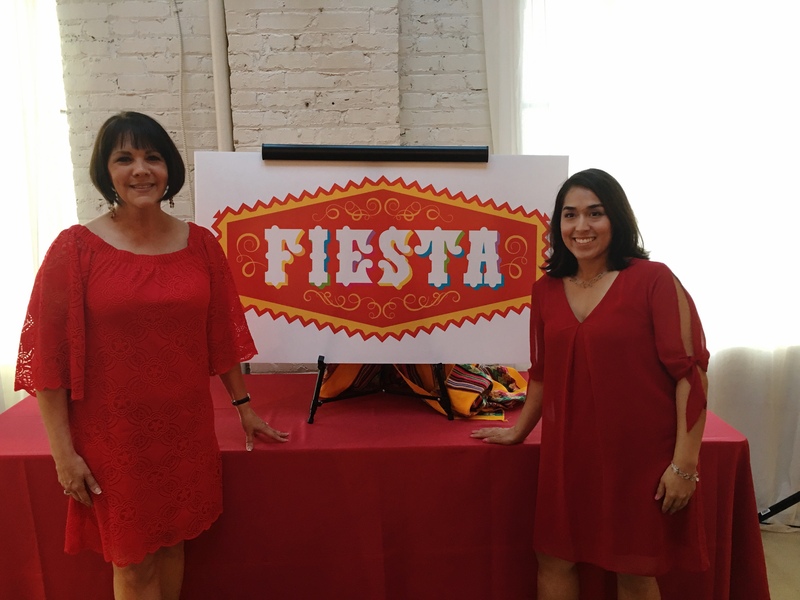 Oh…one last photo that I love from Fiesta 2015…me with board members, Vanessa Vargas and Cristina Almanza! #selfie! 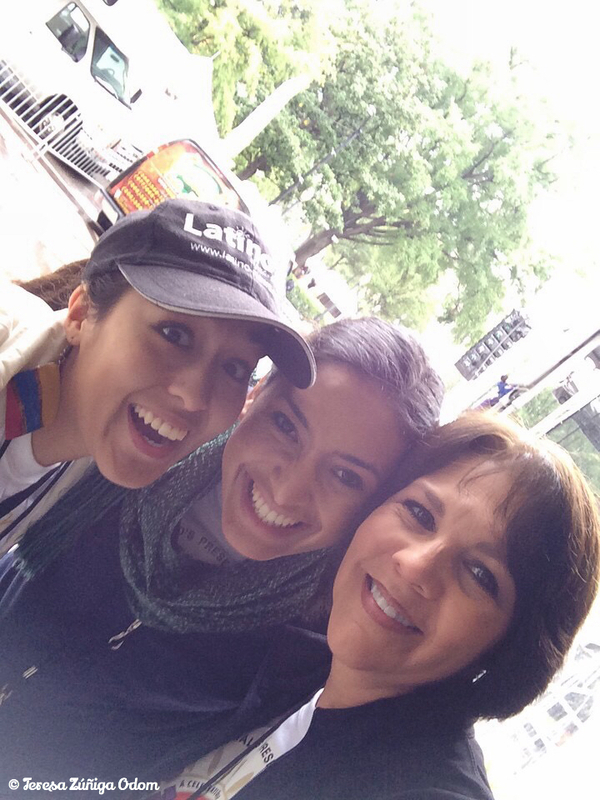 Selfie with board members Vanessa and Cristina as we began the day! My hair was still dry at this point! This entry was posted in Fiesta, Linn Park, Photography and tagged Bobby Pulido, Carlos Aleman, Chris Miller, Cocina Latina, Cristina Almanza, Fiesta Fridays, Hornitos Tequila, Matt Ennis, Mosaico Flamenco, Toby Love, Vanessa Vargas on September 22, 2017 by Southern Señora.